In early summer of 1999, when Martin Parr visited the exhibition Fotografía pública Photography in Print 1919 – 1939, in the Reina Sofia Museum in Madrid, he was left breathless. In a time when Photography struggled to prove its Art status by ever-larger Diasec prints and rigid mounting, here was a show of lose pamphlets, worn out magazines and yellowed photography books. He bought the catalogue, edited by the curator of the exhibition, Horacio Fernández, which was a beautiful photobook in itself, and showed it to his friends and colleagues back home, as he remembers: “Many people also saw this, and it became very cult, with people talking about it, so the impact was enormous”. Two years later, Andrew Roth’s Book of 101 Books presented a list of seminal photographic books of the Twentieth Century. At this time Martin Parr and Gerry Badger were already working on their two volumes of The Photobook – A History. At the same time as this revision of the history of photography in the printed matter, there was also a shift in the technological development. Digital printing became a serious competitor for the traditional offset process, and allowed to produce short printing runs in a satisfactory quality. Online Print-On-Demand platforms have since undoubtedly revolutionized the concept of self-publishing. Consequently, everyday, there are more blog posts, courses, articles, exhibitions and even festivals dedicated to photobooks and zines. Allow us to highlight a selection of events and publications dedicated to a medium that, instead of fearing for its future in the digital era, is living a true Renaissance. They are not ordered in any way, and I am involved in some of them, if you don’t mind. If you are missing important ones, PLEASE do comment and I will add them. The International Photobook Festival Kassel is organized by a team made up of dedicated photography and photobook enthusiasts. In it’s fourth edition, which has just ended, it featured exhibitions, talks, seminars and awards dedicated to the medium. Have a look at the Catalog of this year’s edition to find out more or go to their website. This years Dummy Award, by the way, goes to Milou Abel from Utrecht, for Ik ben jou. Have a look at Milou Abel’s website, where you will find three different versions of the dummy. A great way to study the development of this outstanding project. PhotoIreland‘s first Book & Magazine Fair includes photobooks and photo magazines from all over the world, as well as a rich example of contemporary publications focused on Art, Design and Illustration. Over 300 items from more than 40 publishers will be on display. Dates: 15-31 July, Opening hours: Mon to Sat 10.30-5.30pm, Sun 11-5.30pm. Book & Magazine Fair. FilmBase, Temple Bar, Dublin. Parallel to this event, the exhibition Martin Parr’s Best Photo Books of the Decade shows 30 publications from all over the globe; a subjective list of works, a random number, in chronological order, and based on the personal criteria of a book-lover. The list is still being kept secret, but you can have a first glimpse here. The Camera Club of New York presents the Second Annual Zine and Self-Published Photo Book Fair on July 16-17th at CCNY. The zine and self-published photo book is a contemporary approach to photography in its published form, celebrating the book as well as offering artists a vehicle to spread their art and ideas.The public will be invited to come, browse, purchase and meet the people involved with the burgeoning zine and self-published art world. The deadline for submission of the publications is July 9, 2011. More details on the CCNY Website. Offprint Paris is still a bit further down the road (10-13 Nov. 2011) but after last year’s success, this artist book fair dedicated to photography publications will be another highlight. Focusing on independent publishing companies, Offprint aspires to be a meeting place for Artists, Photographers, Graphic designers, Curators, Artistic directors, Journalists, Collectors… who deal with “printed” photography: books, magazines, zines, prints. More info on their website. Now, it’s your turn: Tell us about other Exhibitions, Fairs and Festivals worth mentioning. Or become a contributor yourself. Just leave a comment and we’ll talk. Ah, and before I forget: Part II will be dedicated on Courses and workshops dedicated to Photobooks, Part III to blogs and websites, Part IV to Publishers and Online Platforms. Stay tuned! Having had a successful start in 2010, the festival this year is divided in 6 strands, all of them with their own set of exhibitions and/or events. For July 2011, PhotoIreland Festival presents ‘Collaborative Change’, a series of events that investigate the possibilities of collaborative approaches within artistic and non-artistic disciplines. The events include a conference on the theme in collaboration with GradCAM, exhibitions by photographic collectives and site-specific installations and events by two curatorial teams. Framed within our focus on photo books, we will present ‘Martin Parr’s Best Books of the Decade’, an exhibition of 30 international photo books, hand-picked by the world-famous photographer and photographic bibliophile. Running in parallel, PhotoIreland‘s first Book and Magazine Fair, which includes an International Open Call for photo books, in cooperation with Blurb. The Featured Exhibitions & Events is a strand of the programme that highlights exhibitions and events organised outside the main theme. Within this context, It is exciting to work in 2011 with the Irish Museum of Modern Art, the Royal Hibernian Academy, the Sebastian Guinness Gallery, and the Douglas Hyde Gallery, as much as with the Gallery of Photography, the Instituto Cervantes, and the Mexican Embassy. We have programmed a special set of talks around collecting photography, to add to the David Kronn exhibition at the Irish Museum of Modern Art (IMMA). They include a talk by David Kronn and Seán Kissane, Head of Exhibitions at IMMA. Working towards our first summer residency, we are offering a set of workshops, talks and portfolio reviews that will definitely help you gain knowledge and experience in a variety of fields. Over 30 exhibitions around the city of Dublin by photographers and artists of all levels. The German Kehrer Verlag has joined the European Publishers Award For Photography in 2011. Now in its eighteenth year, the European Publishers Award for Photography is a major initiative to encourage the publication of contemporary photography. Open to photographers world-wide, the competition is a unique collaboration between five European Publishers – Actes Sud (France), Apeiron (Greece), Dewi Lewis Publishing (Great Britain), Kehrer Verlag (Germany) and Peliti Associati (Italy). The closing date for entries will be the 29th April 2011. 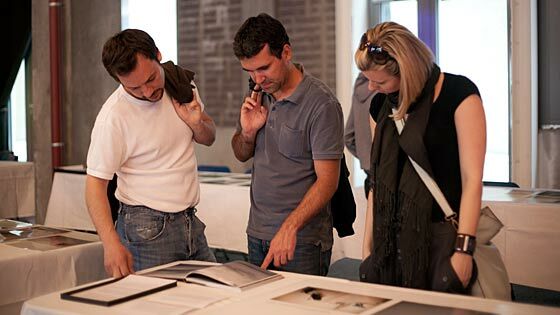 Open call for the Dummy Award 2011 of the 4th International Photobook Festival, Kassel, Germany, June 1.-5. Submit your unpublished photobook and win a complete photobook production. The 50 best books will be exhibited at the festival. A jury made up of internationally renowned members will select the 3 best books of the exhibition. Photobooks of any kind are admissible. This includes handmade artist books as well as digitally created editions (as books from blurb, pixum, BOD and others!). The winning book will be produced and published by the publishing and printing company seltmann+söhne. This work will also be portrayed in the magazine European Photography. 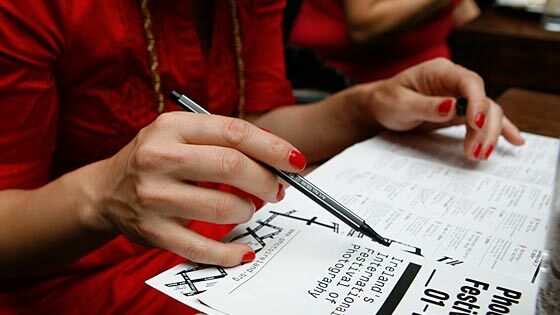 The 2nd and 3rd prizes will be sponsored by blurb.com: The 2nd prize is books produced by blurb to the value of 500 Euros, the 3rd prize books to the value of 300 Euros. Both prizes include publication on blurbs »bluberati blog« and free entry to the blurb »Photo Book Now« 2011 competition. 3 works which catch the attention of our jury due to their outstanding photographic excellence but don’t fulfil specific book design criterias will be rewarded with photobook dummy reviews by schaden.com / White Press. Jury members: John Gossage | Gabriele Franziska Götz | Jeffrey Ladd | Andreas Müller Pohle | Markus Schaden | Yoko Sawada | Oliver Seltmann. Reichen Sie Ihr unveröffentlichtes Fotobuch zum Dummy Award 2011 ein. Die 50 besten kommen in die Festival-Ausstellung. Aus diesen werden die Sieger des Dummy Awards ermittelt. Der 1. 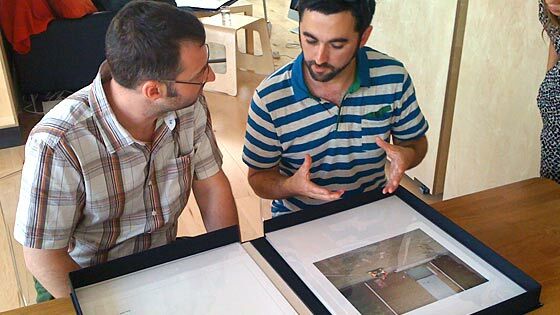 Preis beinhaltet eine komplette Buchproduktion durch unseren Hauptpartner seltmann + söhne sowie eine Veröffentlichung in European Photography. Der 2. und 3. Preis sind wertvolle Buchpreise unseres Hauptpartners blurb. Als Sonderpreise gibt es Fotobuch Dummy Reviews von schaden.com / White Press. Alle eingereichten Dummys werden auf dem Festival digital präsentiert. Jurie: John Gossage | Gabriele Franziska Götz | Jeffrey Ladd | Andreas Müller Pohle | Markus Schaden | Yoko Sawada | Oliver Seltmann. Einsendeschluss ist der 20. April 2011.